You may recall the 1980’s TV comedy series, What’s Happening Now. 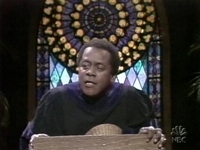 Baby Boomers will remember even further back to the old Flip Wilson TV show, and one of his whimsical characters, Reverend Leroy, pastor of the Church of What’s Happenin’ Now. Many pastors and worship music leaders of our day seem convinced that their primary objective when planning worship is to present an image as the Church of What’s Happenin’ Now. And that is a truly babyboomers’ idea. Please hear me. I’m not calling to question sincere desire to connect to today’s culture with the gospel, but care must be exercised never to imply a shortsightedness whereby the eternal God is confined to a tyrannous practice of the presumed latest and greatest. To the contrary, worship stretches across the expanse of time. WORSHIP NOW AND THEN needs to have a completely different meaning than implying that we drop by for corporate worship every “now and then.” Rather, Christian worship should situate us as individual believers, and as church in clear connection of now and then. In fact, maybe a stronger understanding of how now and then are connected in worship would help to get us past the lackadaisical attitudes that foster occasional church attendance as so commonly practiced by so many Christians in contemporary society. In order for substantial changes to be made we need to elevate our understanding of the significance of time in its relationship to worship. What does worship have to do with time anyway? Genuine Christian worship bursts through the bonds of the present moment to connect us with eternity. I don’t just mean eternity forward, but eternity both directions. Any student of basic Christian theology is familiar with Christian teachings regarding the difference in Chronos and Kairos, the two Greek words referring to time. Chronos being quantitative as in days of the calendar, and Kairos referring to an indeterminate time or season in which something in particular takes place at “the appointed time.” In a particular (appointed) season, whether a moment, a day, months, or years, spiritually significant events take place with long term ramifications. Spiritually significant events happen in the life of a person, a church, or even the whole world. These qualitative periods of whatever length in history present kairos. 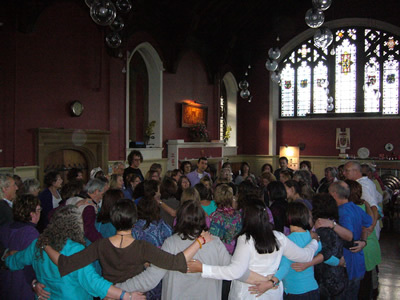 Worship, as an engagement with God in Christ by mediation of the Holy Spirit, occurs in real time. It happens in the “now” moments of gathered worship. In healthy Christian worship, worshipers gathered together in the present reality engage in connection to the “then” of past realities, and the “then” future of coming realities. We worship Him Who was and is and is to come! (Rev 1:4) In worship we remember, anamnesis, and we project forward, prolepsis. These are much more than just fancy words, as if a secret code, like a fraternity handshake, for believers. They are also our means of proclamation, as we declare remembrance and hope. Proclamation that belongs not to the professional clergy, but to the gathered body in every word, note, and motion of the liturgy, the worship itself. It is the story of God in Christ, reenacted week after week among His people. The God story. Certainly, the preached Word is central in this engagement for evangelicals, but grasping and pronouncing our place in time, the relation to the present moment (Now) and the past (then) as well as the coming future (then), is the joyful reality of what it is to worship, and that belongs to the entire gathered body! In evangelical circles I fear we have abdicated witness and proclamation to the professional clergy. Along with such abdication comes unintended consequences of ever-less-connected congregation members, and sad personality cults that center around charismatic pulpit or tv dynamos. We find ourselves touting names of “Christian artists” and dyamic speaker-preachers who attain to substantive airtime on “Christian radio.” Certainly, these leaders may have effective ministry, but the problem occurs in our expectational immaturity. If our church leaders are less than entertaining to us, we become dissatisfied, and risk harm to the message of the gospel when we blame them for our own displeasure. With eyes toward our own satisfaction, or lack of it, we can lose sight of the part we play in proclamation and praise, helping to retell God’s story. In Eastern Orthodox churches before they begin participation in the Divine Liturgy, the Deacon proclaims, “It is time for the Lord to act.” It is the understanding of the orthodox church that the time of the liturgy is an intersection with eternity. In evangelical revivalist churches the movement of a worship service toward a time of invitation is rooted in prayer that the Holy Spirit will move among worshipers to draw men and women to Himself, and that decisions for Christ will be made. In either instance, the sense is that God moves upon His people in worship. One clear characteristic of culture in our day is that we are busy! We have lots to do. Do we really need to drive to some church building somewhere to worship God at a particular time on a particular day of the week? Is it a big deal that we get together with other believers to worship all at the same time? Well, the Bible surely appears to teach so. See Hebrews 10:25. For further word on “Prioritizing Church Attendance” read the linked blog from Gospel-Centered Discipleship. Might be a good investment of a few moments of your time. Songs used for worship should surely be subjected to scrutiny as to their biblical affinity. We won’t rehearse the regulative vs. normative principle of worship here, but at least call attention to a need for clear biblical sensibility when selecting lyrics to place upon the lips of a worshiping congregation. While words of songs do not need to be word for word the text of the Bible, sola scriptura, it is only reasonable to think that the words we sing would be in keeping with the teaching of scripture, and certainly would not directly conflict with known biblical revelation. Credulity would demand us to sing worship songs whose lyrics are not contrary to basic biblical doctrines of the congregation that is being asked to sing them. Just as ironic would be singing that ignores the effectual nature of the gospel it claims to announce and celebrate. Singing that tends to foster attitudes and dynamics among a people that are contrary to biblical teaching would seem to be just as harmful as singing words of heretical texts. So, how can we sing in a half-hearted manner when our Bible clearly tells us to sing with our whole hearts? What’s more, leaders, how can we allow this half-heartedness to be common practice (even expected) without so much as even calling it to worshipers’ attention, much less exercising appropriate admonition and leadership? Could it be that we have found gratification in our own musical performance such that we have forgotten the congregational purpose, the communal aspect of worship singing? Have we substituted decibel level and performance of platform personnel for biblical singing of worship? Paul tells us to sing with thanksgiving and to make melody in our heart, filled with the Spirit. Biblical worship singing would surely reflect such attitudes as well as encourage the same. And what about unity, hospitality, and preferring of others over ourselves? Surely these characterize biblical worship singing. Not much room there for “give me what I want” dimensions. Worship singing by those who have been redeemed and given the ministry of reconciliation would surely resonate with triumphant tones in singing. Such singing that would never obsess over its own experience, but rather, draw attention to the One to Whom the whole world is to be reconciled, and sing in a spirit that might awaken spiritual affections in neighbors whose need is for reconciling to God. While little is said in scripture that would help us know anything at all about acceptable music styles for worship singing, there are many more clear instructions, and descriptions regarding aspects directly related to how we sing, the spirit with which we worship. The psalms are replete with calls for us to sing joyfully, to sing a new song, to sing with shouts of joy and praise, to play skillfully, to make His praise known among the nations, and to pass on the spirit of praise from generation to generation. The Bible tells of musicians called out and set apart to lead in worship singing (Levites). We see songs sung in response to times of the Lord’s blessings and deliverance (celebrations like the Red Sea song with Miriam) and also in times of deep lament and despair (in the night, and by the river in a strange land). We sing with triumphant procession entering into the temple (the gathering of believers) of worship. We sing with remembrance and thanksgiving in the presence of the Table of our Lord. We see singing in the face of adversity, even in prison. The Apostle Paul instructs us to sing with head and heart as we worship in an orderly manner. And we gaze upon a vision of singing into eternity around the throne. For our worship singing to embody the Gospel, surely we who are singing will reflect (mirror) the love of Christ, the spirit of grace, God’s concern for all the world, and clearly desire His glory above all desires, including our experiential satisfaction. Although it may find variations in ethos and piety from one denomination to the next, even from one congregation to the next, the central truths that characterize the great themes of the Gospel must surely be evident in gatherings of Christian worship. The gospel must be embodied, not only by what words are sung in worship, but how that worship is sung, and what occurs as result. Words © 1972 by Hope Publishing Co., Carol Stream, IL 60188. During Sunday’s worship the pastor called forward children who would be attending children’s camp the next week. A 70-year-old man wearing coat and tie raised his hand as one of the volunteers who would be working at the camp. Other adults were wearing wristbands with the names of one of these camp-bound children for whom they would pray in the week, including specific prayer for their coming to faith in Christ. Corny? Small church stuff? Not to me! My grandson was one of those standing in that row attending camp this week. I welcome the prayer support of the church. In consulting with church leaders I often hear concern expressed rooted in generational issues. Concern for reaching young people is a prevalent theme. Popular remedies related to worship run the gamut from segregating worshipers according to age or music preference to tossing out the old music for all worshipers and replacing it with the latest. In a previous post I began to address multi-generational, or intergenerational worship, and closed that post expressing my intention to further address the topic and also to post some resources and ideas for intergenerational worship. Inherited tradition, in which the congregation seeks to conserve past practices, working to maintain inherited norms. Generation-specific, where worship is designed to address the cultural characteristics and needs of a particular generation or age group. Worshipers from other generations may either be simply discounted, or provided for through separation into their own age-specific alienated environment. Each of these methods is inherent with inevitable tensions and conflicts. Likewise there are strengths and weaknesses in each approach. I am personally aware of churches who use each approach. Rather than rehashing the pros and cons of each, in keeping with the point of this post I want to contend for the blending of multiple generations worshiping together in a purposefully intergenerational atmosphere, nurtured as such by church leaders and worship planners based upon biblical, theological, and historical values. I am of the deep conviction that true relevance to any generation is rooted in the Gospel itself. The unity of the church – in John 17 Jesus prays that his disciples would be unified as one. Generations worshiping together reflect a spirit of intentional unity. The apostle Paul writes to the Ephesians of one body, one Spirit, one hope, one Lord, one faith, one baptism, one God and Father of all in Ephesians 4. Overcoming challenges of preferential differences and generational divides through purposeful bridging demonstrates a desire to be the answer to Jesus’ priestly prayer and to follow Paul’s instruction and admonition to make every effort to maintain unity. A Covenant Community– God’s established relationship with His people includes the generations (Genesis 17:7) Praising and teaching are passed from generation to generation throughout the Old Testament. 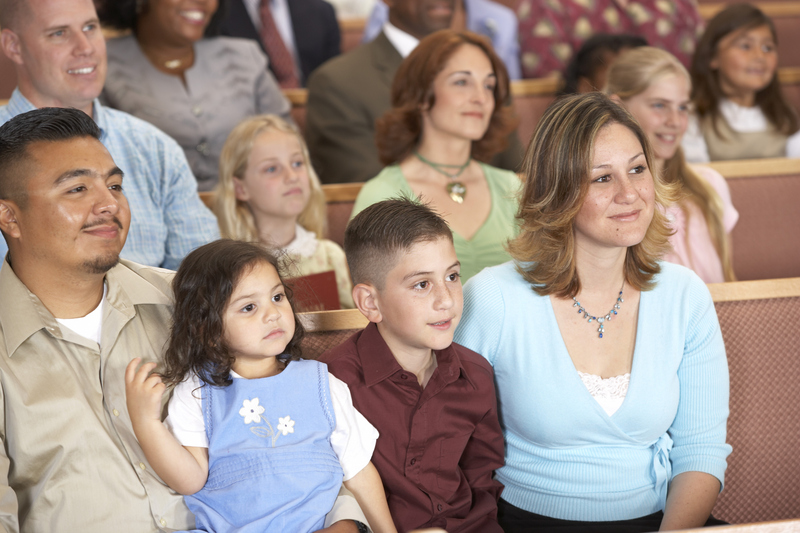 In the New Testament children not only are welcome, but display the very spirit of receptivity as example (Mark 10:13-16) At Pentecost Peter concludes his sermon making clear the inclusive nature of the Spirit (Acts 2:38-39). God deals with people as family units (Acts 16:15,31-34 and 1 Cor 1:16). Formation– worship forms us as disciples, aligning affection and attention in keeping with the Word of God, the prayers of His people, and the expressions of praise recognizing Who He is. As children we are not born fully formed in faith and character. Maturation occurs best in an intergenerational environment. Moses addresses the need to recite to our children in Dueteronomy 6:6-9. Likewise the psalms are replete with instructions like Psalm 78:1-8, where the passing on to children is heightened. The spirit of relating among generations is seen in Paul’s instruction to Timothy in 1 Timothy 5:1-2, where he suggests how to treat older and younger men and women, as he refers also for Titus in Titus 2:1-15. Historically weekly worship is at the core of forming our life in Christ. Worship that is genuinely intergenerational is best practiced in a setting where leaders are committed to create an ethos or culture of intergenerational relationships. In those settings genuine caring across generational lines becomes the norm. Each age group considers and expresses value of others intentionally. The nation’s capitol on 4th of July – yes, it has been on my bucket list for awhile, and this year in which The Star Spangled Banner, written in September of 1814, celebrates its 200th birthday, Ebbie and I decided to spend our getaway in D.C. the week of the 4th. We went to the parade, watched the fireworks over the nation’s capitol, visited museums all week, and added to the Americana by attending a Nationals’ baseball game, and by listening to music on the National Mall. We waited in a long line to do it, but we saw the founding documents actually on the 4th. It was stirring to lay eyes on the Declaration of Independence in the handwriting of the framers themselves. I joked as we passed by the Constitution that I wanted to double check to be sure no politicians had whited out portions. Looking on the Bill of Rights served as a reminder of how freedoms come to be applied directly in our daily lives. All was very inspiring. I appreciated so much friends who live in the area who suggested sites, museums, restaurants, and events to aid our visit. Alas, however, I was reminded in this setting that the allegiance to my homeland for me, and for the Church whose head is Jesus Christ, is never primary. This challenge of allegiance confronts us in worship. Not long ago I attended a monthly gathering of worship ministers in which the chosen topic of discussion was the question of mixing patriotism and Christian worship. I think some of those present may have been surprised that not everyone’s conviction about the issue was the same. Appropriateness of the American flag in the worship space was discussed, accompanied by some rather humorous illustrations of how conflicting views have been played out. Of course discussions about appropriate music in seasons of nationalistic emphasis was also discussed. Emotions on this subject can heighten rather quickly as very strong views are held on either side of the issue. For most who have a strong conviction, the choice is easy, the answer is whatever their position happens to be. I was proud to observe that these leaders maintained a respectful atmosphere throughout the time of discussion, even when it became obvious that strong convictions gripped the practices of the churches in which these leaders serve, and that those convictions and subsequent practices were antithetical. It has long been a maxim for the dinner table that friends should avoid discussing religion or politics. Well, Christian worship planners in our day hardly have the luxury to avoid talking about such things. What is needed is wisdom in the discussion and in leading in worship in a day and age when our nation is so polarized on so many issues. What’s more, backgrounds, including nationality, of those attending public worship are diverse. Most importantly, Christians can unwittingly confuse unbelievers (and believers alike for that matter), by too closely connecting allegiances, alliances, and discussing sacrifices, such as those made by fellow countrymen alongside the sacrifice that has been made by the very Son of God. If we are honest, we may need to confess that we have equated sacrifice of life, even implying that we are equating the lives sacrificed, and give a wrong impression of the cost of our eternal salvation. My appeal is for worship planners to continue to open ourselves to prayerful, careful discussions, reading, and studying scripture and theological implications of those songs, readings, and prayers we will place upon the lips of worshipers. We must remain committed to using discretion, and invite our pastors and other leaders into the discussion on biblical foundation. It seems important for us to recognize the severe challenges in our day of remaining true in our citizenship of the Kingdom of God as our primary citizenship, even as we are citizens of our country. We must surely ask ourselves how our gathered worship is serving to shape the affections and attention of worshipers. Lex orandi, lex credendi. There are wonderful songs that assist me in expressing feelings of national patriotism that say nothing of God or Jesus. I sing these salutes to our country in full-throated, full-hearted allegiance. In Christian worship, however, I am convicted our responsibility is to fix our eyes on Jesus. After a wonderful week in Washington, D.C. celebrating our freedoms given by the state, I am still given to pray the ancient prayer of worship, Kyrie eleison, Lord, have mercy, knowing true freedom comes by the Gospel of Jesus Christ. 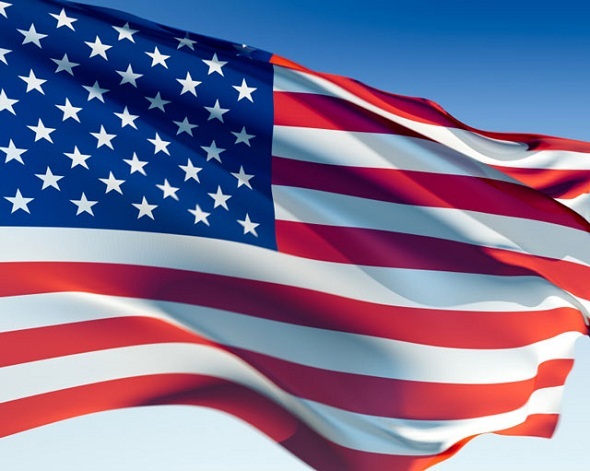 It seems to me our nation does not so much need us to be American patriots who happen to be Christian, but rather faithful Christians who therefore make good citizens of the United States of America. Are we more poised to prod worshipers to defend God in our land, or do we call worshipers to intercede on behalf of our nation for God to heal our land, and give glory to Him Who was, and is, and is to come?